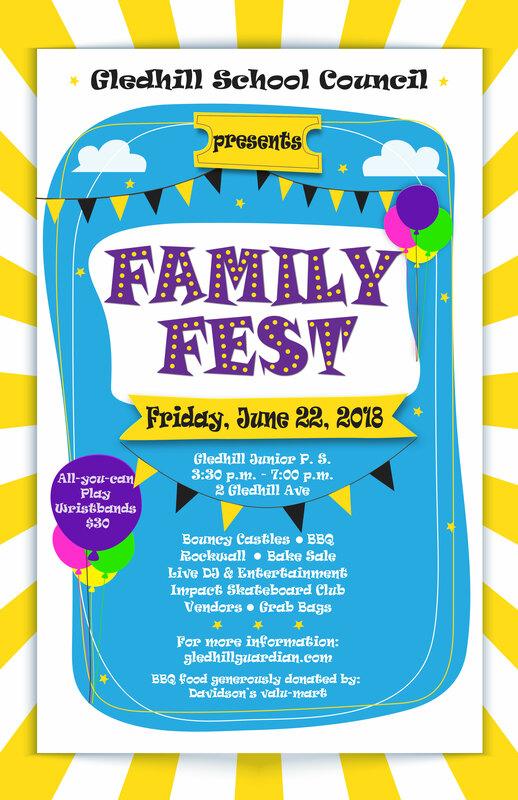 Family Fest is tomorrow! The organizers have been working hard and are looking forward to a great afternoon of FUN and FOOD!!! Reusable Water Bottles – As part of our commitment to our Eco-School goals, bottled water will not be sold. Our water bottle filling fountain in the school basement will be accessible during the event. Picnic blankets or folding chairs – Due to the graduation set up, we will not have access to the usual number of chairs for people to use while eating. Skip the line ups! Tickets and wristbands will be sold in the schoolyard before school tomorrow starting at 8:00am. We have many who have committed to Bake Table items, but our International Table is still in need of savoury finger foods or salads that can be sold at $1 a serving. Last minute contributions are welcome! Food for the Bake Table and International Food Table can be dropped off at the office in the morning or directly to the tables in the schoolyard at the beginning of Family Fest at 3:20pm. (please note that items needing refrigeration should be dropped off directly to the event after school).